Olympic Riviera is a unique destination in Northern Greece with easy access. The National Highway, the railway network, the International Airport “Macedonia” near Thessaloniki, make the entry gates into Greece from Central and Eastern Europe. Olympic Riviera spreads quietly below the imposing Olympus and the green Pieria all the way to the blue waters of the Aegean Sea. It is a land of abundance, a blessed place with extra charm and grace, magnificent nature and historical heritage. The history of Hellenism is discovered in finds of ancient cities (Dion, Levitra, Pimblia, Pydna, Methoni, Makrigialos) and other monuments. In Pieria, the senses come from the magic of the landscape and the integrity of nature. Mountain and sea, green and blue colors and myths are in magnificent harmony. Few places in the world combine endless beaches with golden sand and clean sea, mountains with history and natural beauty, excellent tourist organization, affordable prices and all this on excellent transport infrastructure, making the travels a matter of minutes. 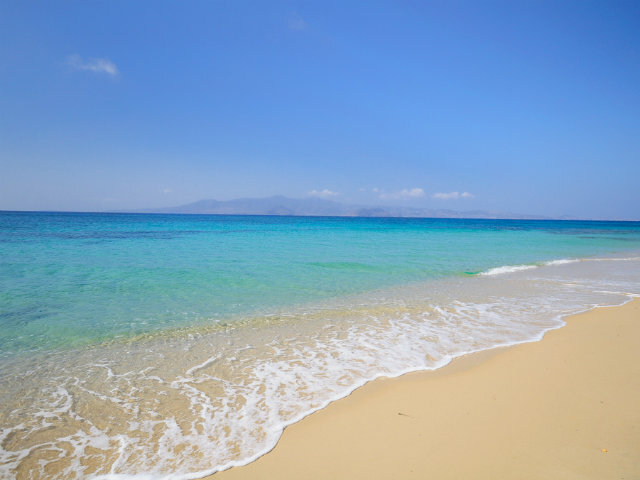 There are many reasons that make the coasts of Pieria, the coasts of Olympus unbeatable. The length of the sea front, the rich and golden sand, the quality of the sea, the unparalleled combination of coast and mountainous volumes, the rotation of the landscape, the easy road and rail access, the facilities for small boats, cosmopolitan nightlife, variety of flora and fauna, the hotel’s infrastructure, the variety of cuisine and entertainment, the range of sports activities, the rich cultural and ecological interests, the operation of an organized market and the variety of settlements that surround the coastline. Distance from Katerini 80 Km. Usually car or KTEL bus. If timetable is convenient, the train can sometimes offer a comfortable and cheaper alternative. The museum was established in 1983 to display excavations unearthed in the area from a fortified city that once stood in its place from the 6th century BC to the 5th century AD. 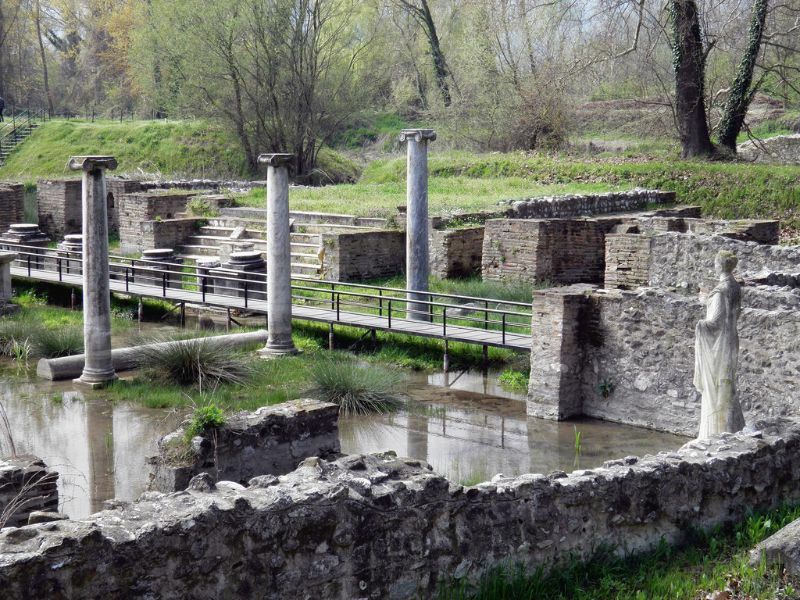 The artifacts of the museum were also discovered in Olympus and the wider Pieria regional unit. Archaeological evidence dates Palaios Panteleimonas to the end of the 14th century. Today it is a stunning restored traditional village on the slopes of Kato Olympus at an altitude of 700 m with an impressive view over the Thermaikos Gulf, the coast of south Pieria and the Venetian castle, Platamonas. The town is a popular destination for those wishing to climb Mount Olympus as almost all climbing routes begin to the southwest of the town. 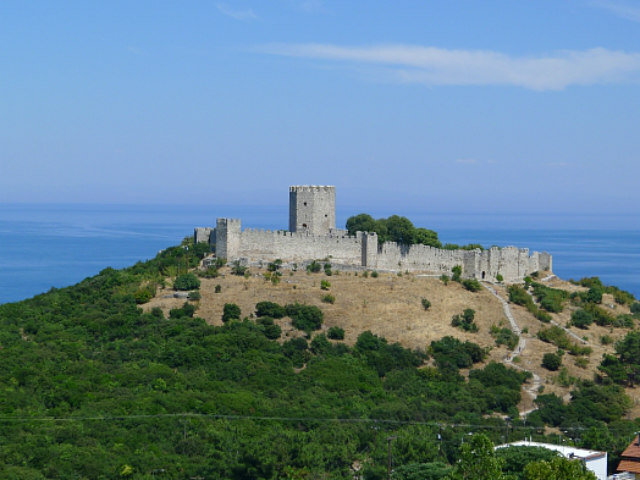 The Platamon Castle is a Crusader castle (built between 1204 and 1222) in northern Greece and is located southeast of Mount Olympus, in a strategic position which controls the exit of the Tempe valley, through which passes the main road connecting Macedonia with Thessaly and southern Greece. The tower (donjon), which overlooks the highway, is an imposing medieval fortress. Thessaloniki is the second-largest city in Greece and the capital of Greek Macedonia. Thessaloniki was the second largest and wealthiest city of the Byzantine Empire. Agios Dionysios Monastery (Metochio) is located 3 km from Litochoro. It was transferred here by the fraternal order in 1950 after the Germans destroyed the main monastery in 1943. The main monastery dates back to 1542 and is located 17 km from Litochoro, it is currently undergoing restoration works. Go Hiking!Mount Olympus is the highest mountain in Greece. The highest peak Mytikas, meaning "nose", rises to 2,917 metres. In Ancient Greek religion and mythology, Olympus was the home of the Twelve Olympian gods of the ancient Greek world. Neoi Poroi is a coastal village of the Dio-Olympos municipality. The village is located on the southernmost coast of Pieria, near the traditional village of Paleoi Poroi and the vast and scenic wetlands in the northern part of Pineios. Olympic Beach is a resort town in the eastern part of the regional unit of Pieria in Greece. Its beach is part of the Olympian Riviera. St Ephraim the Syrian lived in the 4th century A.D. in the north of Mesopotamia. “St Ephraim the Syrian” Monastery is situated in the surroundings of Kontariotissa village, in a beautiful natural landscape, at the foot of Olympus and Pieria Mountains, surrounded by hills and olive trees. Lies on the coast of Aegean Sea, under the Mount Olympos. It is located near ancient Livithra, allegedly the home of Orpheus, major figure in the Greek Mythology. Since the major events and customs in the town is the revival of division of Orpheus. The Metéora, literally "middle of the sky",- is a formation of immense monolithic pillars and hills-like huge rounded boulders which dominate the local area. It is also associated with one of the largest and most precipitously built complexes of Eastern Orthodox monasteries in Greece, second in importance only to Mount Athos. A long-standing mystery about the tomb of King Philip II of Macedonia has finally been solved, showing the father of Alexander the Great was buried with his wife Cleopatra and their infant. Paralia is a tourist seaside village and a former municipality in the eastern part of the Pieria regional unit, Greece. Katerini is a town in Central Macedonia, Greece, the capital of Pieria regional unit. It lies on the Pierian plain, between Mt. Olympus and the Thermaikos Gulf. A popular tourist destination in northern Greece, Katerini is close to the sea (6 km) and to several archaeological sites of great interest such as the ancient city of Dion (5th century BC,17 km away) and the Castle of Platamon. In 1938, Olympus, the highest Greek mountain, the residence of the twelve ancient gods, was the first area which was declared as a National Park. About 50 years ago a special regime was enforced to protect this unique part of our country. Mount Olympus is located on the border of Macedonia and Thessaly between the prefectures of Pieria and Larissa. The highest point of Mount Olympus, Mytikas, is located 263 km from Athens and 78 km from Thessaloniki as the crow flies and 18 km from the coast of Pieria and 24 km from Katerini. Olympus expands over approximately 500 km2 and covers an essentially circular area with a width of approximately 25 km and a circumference of 80 km. The Olympus National Park covers an area of 238,411,000 m2 with the heart being 40 million m2. The shape of Olympus, the polymorphous and changeable beauty of its nature, the fog covered peaks and law clouds bringing about frequent the under storms, filled people with awe and admiration from ancient times. There are recent archaeological finds that go back to the Iron Age. Prehistoric man chose to live at the foot of this glorious mountain. Inspired by its mystery he created the legends that gave birth to the Twelve Greek Gods. The whole Olympus has been declared an archaeological and historical place in order to preserve its monumental and historical physiognomy.